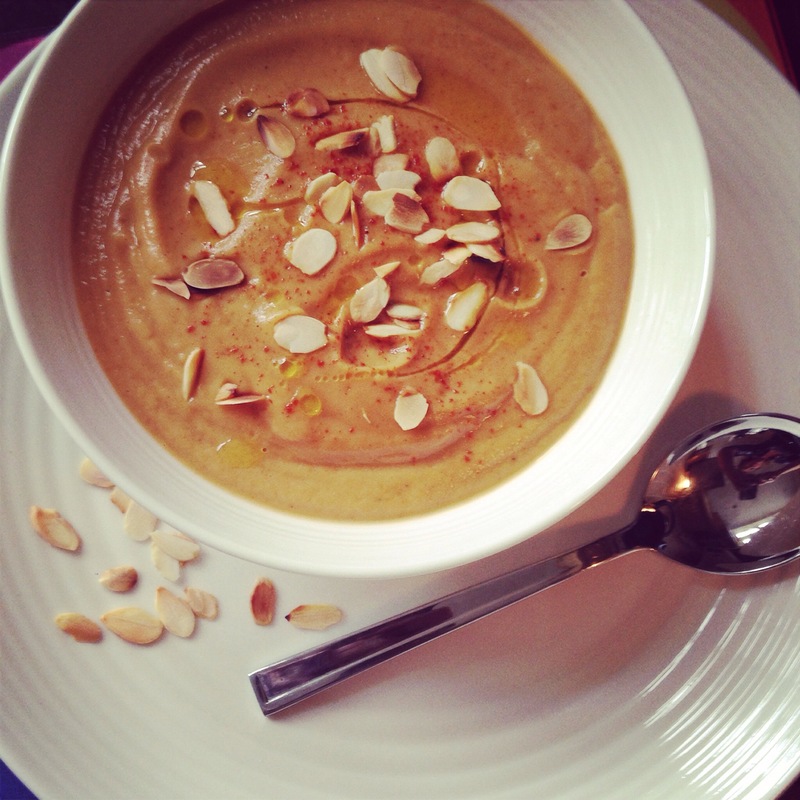 And suddenly the cold rainy weather gets underway and the best, and cheapest, way to warm up is with a wholesome soup. 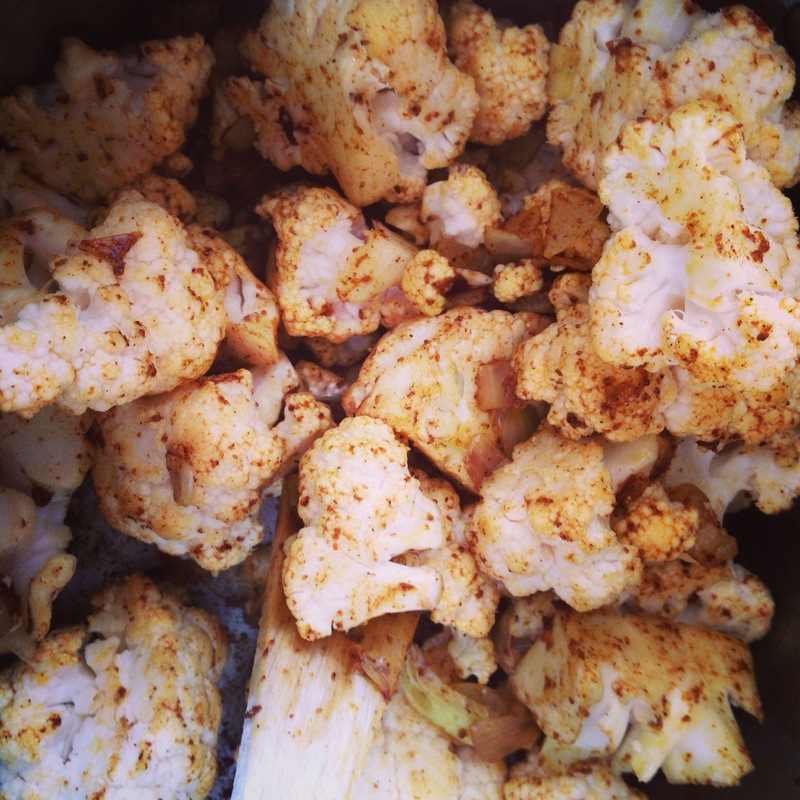 Gently fry the onion before adding the spices, I used Ras el Hanout and the cauliflower florets. 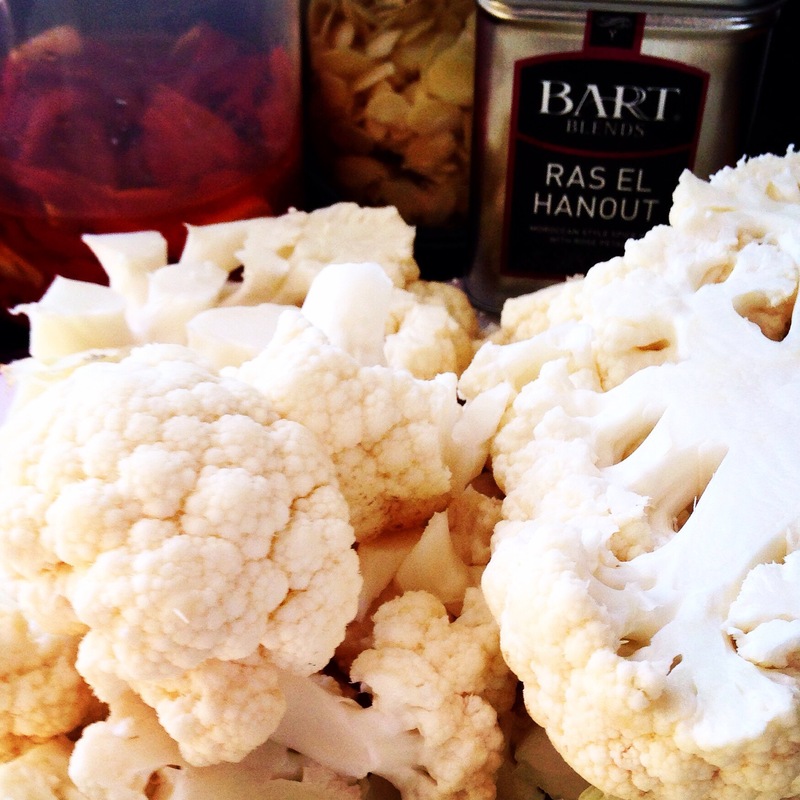 Mix well until the cauliflower is well coated. If using fresh red pepper add now too. I had some home roasted peppers left over from yesterday so I added them to straight to the blender. Pour some hot vegetable stock into the pan, cover and cook for 30 minutes or until soft. Blend and check seasoning. Serves Two with toasted almonds and a drizzle of good quality olive oil. This entry was posted in catering, cooking, eating out, fitness, food, health, home, home cooking, kitchen, love, nutrition, small kitchen appliances, snacks, vegan, vegetarian, world food and tagged autumn, food, health, nutrition, soup, vegan, vitamix. Bookmark the permalink.